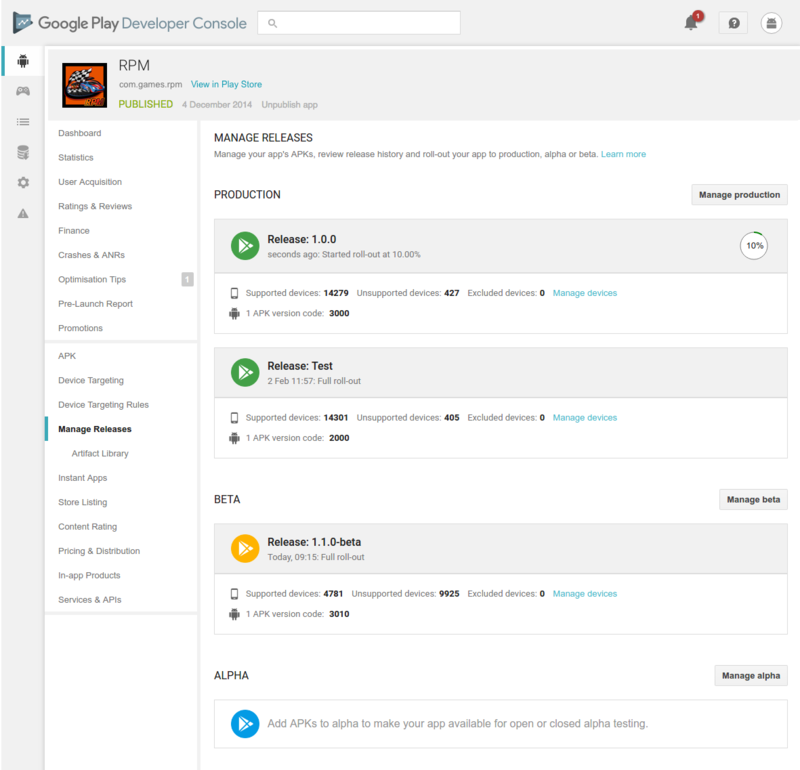 more confidence via a new manage releases page in the Google Play Developer Console. status of all your releases across tracks. 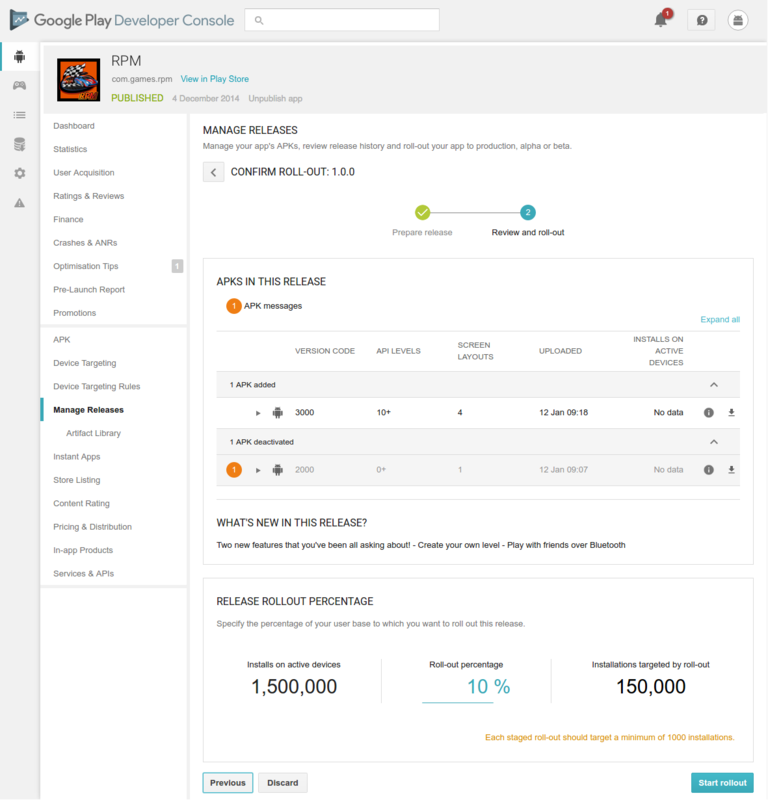 The new manage releases page. have confidence in taking. To help, we’ve added two new features. added new permissions to your app, the system will highlight it. them granularly and download previous APKs. find all the files that help you manage a release.